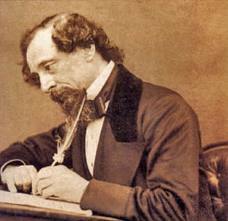 February is Dickens month for the Victorian Challenge 2012. You can post any Victorian related item you like this month, but I am going to focus on Charles Dickens and you are allowed to focus with me! 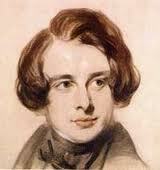 We will hopefully have a couple of guest blog posts on the Charles Dickens through the month also to celebrate. Please post your February reviews below in Mr. Linky (and not on the January link-up). If you haven’t signed up for the challenge yet, go to this sign-up link. January was a great month celebrating the Bronte sisters. I loved reading your reviews that were Bronte related and not Bronte related. We had 31 posts in the month of January, and two guest blogs. One guest blog was a brief biography of the Bronte sisters from Bronteblog and the other was a guest blog from author Syrie James discussing writing about Charlotte Bronte’s love life. They were both great and I thought they enhanced our discussion of the Brontes! Enough about the Brontes, February is a celebration of Charles Dickens. Dickens is considered the father of Victorian literature. It is appropriate that we celebrate his this month as the world celebrates the 200th anniversary of his birth on February 7th. Charles Dickens had a very interesting life himself as he went from a poor boy working in a blacking factory to a famous author. He worked hard and published 19 completed novels, and one partially completed novel, numerous short stories, non-fiction, and plays. His works are iconic and include A Christmas Carol, Oliver Twist, David Copperfield, A Tale of Two Cities, Great Expectations, etc. They have been adapted more times than one can count into screen, TV, feature film, radio, and audiobook productions. His characters have become part of our culture (Scrooge, Tiny Tim, etc. ), and he popularized the term Merry Christmas. He worked tirelessly in his life for social reform and these views often made their ways into this novel. He is an author well worth celebrating. To celebrate Charles Dickens this month, I am going to read Oliver Twist for the first time, and I’m also going to read Dickens as a fictional character in Drood by Dan Simmons. I’m going to write previews for the new Masterpiece Theatre productions of Great Expectations and The Mystery of Edwin Drood, and I will also hopefully watch one old production of a Dickens novel. I really want to listen to an audio version of Great Expectations, but there is only one digital copy in the state of Wisconsin and I’m still a few people back. I’ll probably be listening to it in a few months! I look forward to reading your reviews this month! Feel free to post how you plan to celebrate Dickens this month. Please post the name of your blog followed by the item you reviewed. For example, Laura's Reviews (A Tale of Two Cities). Great post, Laura! I'm not sure I will read Dickens this month, but I will certainly stop by. I've already been reading up in my Smithsonian magazine on Dickens as he's the feature of the month because of his birthday. Looking forward to your posts! OK, I shouldn't post late at night!! Firstly I posted before the Feb link was up, and now I've managed to duplicate my link (SORRY!!). Laura: I am so glad you will be reading Oliver Twist for the first time. When I was at school (about 10 years old), the teacher went round the class asking what we were reading, everyone said books like My Friend Flicka and kids books, and I remember saying I was reading Oliver Twist. The teacher didn't quite believe me, till I told them about the content!! Suko - I'm glad you will stop by! Sophia - I should find the Smithsonian magazine for this month, I bet the Dickens articles are intriguing! I used to read that magazine when I was younger. Julie - No problem! Your post works in both places. I've read A Christmas Carol countless times and have also read David Copperfield, A Tale of Two Cities, Great Expectations, The Old Curiosity Shop, and his other Christmas books. Somehow I've missed Oliver Twist, but I still have quite a few of his other works to read to become a true Dickens expert. It's fun to still have new books to explore! I have been a bit slack about posting this month but I have put up a post on Dickens' The Signalman, a great short story if anyone is looking for something short and quick for a Dickens experience. Thanks. Just read a very nice comment on my blog from Arabella, who enjoyed my review on Little Dorrit and is going to watch it too!! Great, I've enabled someone! I'm working my way through The Old Curiosity Shop, but I'm not sure if I'll manage to finish it in February. I'm a month late, but I've finally posted up my review of Little Dorrit. Will be doing Keats too when I have time.